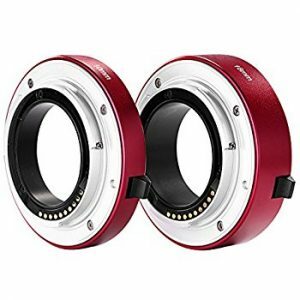 The Metabones EF to Sony NEX Speedbooster Ultra allows you to connect EF lenses to E-mount Sony cameras like the FS7, A7s, and FS700. The adapter reduces the focal length by .71x, increases the aperture by one stop, and allows for electronic control, including aperture adjustments, image stabilization, and EXIF data. Now, you can use all your Canon and EF mount lenses with your Sony camera. 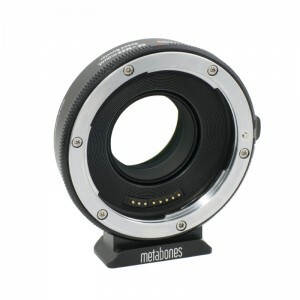 The Ultra line of speedboosters is Metabones’ second generation, offering improved sharpness and optical quality, particularly for lenses with short exit pupil distances. For most users, you won’t notice a difference, but some wide lenses in particular will perform better on Metabones’ Ultra speedboosters. We suggest using 15mm rails for most lenses, especially heavier lenses like CP2s and long zoom lenses. This is a fantastic adapter for video, but some photo lenses may autofocus more slowly with the adapter. Most EF-S and some third-party lenses converted to EF may not work properly. Nearly all native EF lenses are supported, but please check the adapter when you pick up your rental to confirm that it will work for your purposes. The Metabones EF to MFT Speedbooster allows you to connect EF lenses to MFT-mount cameras like the GH series (including the Panasonic GH4). The adapter reduces the focal length by .71x, increases the aperture by one stop, and allows for electronic control, including aperture adjustments, image stabilization, and EXIF data. 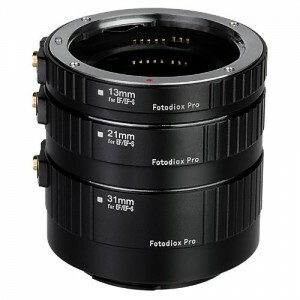 Now, you can use the same lens kit for your EF cameras and MFT cameras. For heavier lenses like CP2s and long zoom lenses, we strongly suggest using 15mm rails and a lens support. This is a fantastic adapter for video, but some photo lenses may autofocus more slowly with the adapter. Most EF-S and some lenses converted to EF may not work properly. Nearly all native EF lenses are supported, but please check the adapter when you pick up your rental to confirm that it will work for your purposes. 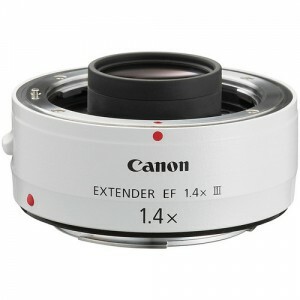 The Canon 1.4x telephoto extender will extend your long Canon lenses to make them 40% more telephoto. Your focal length increases by 1.4x and your maximum aperture is reduced by one stop. A lens like the Canon 70-200 f/2.8L IS becomes approximately 100-280mm f/4 IS. The telephoto adapter will not fit most of the “normal” zoom range Canon lenses, so be sure to check for compatibility with the lens(es) you plan to use. Image stabilization features, focus, and autoexposure will all continue to work normally. The lens adapter leave the minimum focusing distance unchanged, so you’ll get 1.4x magnification for macro work, as well.